If you’ve read my blog much, you’ll know that I am a big believer in using the five senses when you teach. 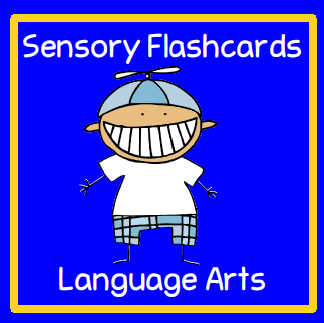 Sensory flashcards are a great way to add the sense of touch to your curriculum. You can use either colored glue or puffy paint to make sensory flashcards. Click here if you’d like to make your own puffy paint. I bought my puffy paint at Wal-Mart for 98 cents. I like to use sensory flashcards when I meet with my reading groups. I give each student a sensory flashcard. Students use their pointing finger to trace the letters while quietly saying the letter as they trace it. After tracing the letters, they read the word. When everyone has traced and read their word, I say “pass” and they pass their word to their right. The last person on the right will put his/her words in a stack. The first person on the left will take a word off the stack of extra cards that I put next to him/her. 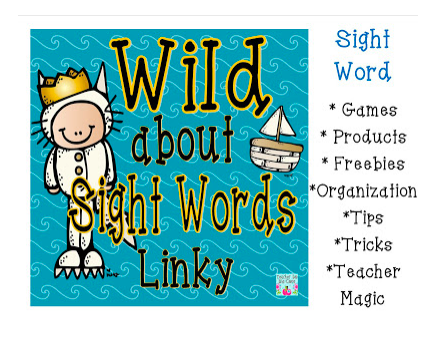 This is a great way to review sight words, vocabulary words, or word wall words. You can also use this same format with blends, digraphs, or letter identification. Click to go to my TPT store. The Buggy for Reading packets come in levels: Pre-primer, Primer, and First. I am joining Katie @ Teacher to the Core‘s linky party. The more senses used, the better. Thanks! Thank you so much for joining up with my linky party! This is a great way to get my kids engaged! Your blog background is soooo cute. I wish I could have it as a skirt! With a pink tank top and jeans jacket. Can you tell I am a summer lovin' girl. I never know what to wear in the winter.